Halloween is just around the corner, but the scariest thing about the holiday for many young ghosts and goblins is whether they can even eat candy after getting braces from their Maple Grove orthodontist. Luckily, there are still some options for our trick-or-treaters. At Accorde Orthodontists, our highly trained orthodontic team believes that people of all ages across Minnesota deserve a lifetime of pearly white teeth! As the premier orthodontic practice in Maple Grove, Champlin, Rogers, and Albertville, MN, our highly trained staff offers state-of-the-art orthodontic services and treatments, as well as tips and tricks on how to achieve a beautifully white, perfectly straight smile! When Do I Need a Retainer? For most orthodontic patients, the countdown to the day they get their braces removed begins approximately one week after having their braces put on. So when the big day finally rolls around, most are discouraged to hear that treatment is still not complete. With the removal of braces comes the installation of a retainer. Can I Get Braces if I Have a Dental Implant? At Accorde Orthodontists, our mission is to help patients of all ages throughout Maple Grove, Rogers, Champlin, and Albertville, MN achieve beautiful new smiles. We're proud to treat children and adults alike, and we've helped countless professionals achieve a new smile. But if you're like many adults considering straightening their teeth, you may have one major question: can I get braces if I have a dental implant? At Accorde Orthodontists, we're proud to offer expert orthodontic treatment to the communities of Albertville, Champlin, Rogers, & Maple Grove, MN. We provide treatment for patients of all ages, including children needing early orthodontic treatment – but often, parents aren't sure when to first bring their child for an orthodontic visit. So when should your child first see the orthodontist? Effective and efficient teeth brushing is the foundation of dental and orthodontic health. Beginning when our teeth first start to pop up through our gums, we must take care them! Today, there are a lot of techniques, opinions, and toothbrushes out there to help you brush correctly. That being said, it's hard to determine which ideas are correct and which you are the most comfortable with. For example, a manual toothbrush or an electric toothbrush? Which toothbrush is more effective at keeping your teeth clean and avoiding cavities? Accorde Orthodontics, located in Albertville, MN, is here to help you navigate the world of toothbrushes. We want to provide you with the necessary informational and tools to choose the best toothbrush for your teeth and cleaning needs. Now that the season of books and backpacks has arrived, many kids will now have a multitude of things going on. With homework, new classes, and catching up with friends, your child's braces will probably be the last thing on their mind. 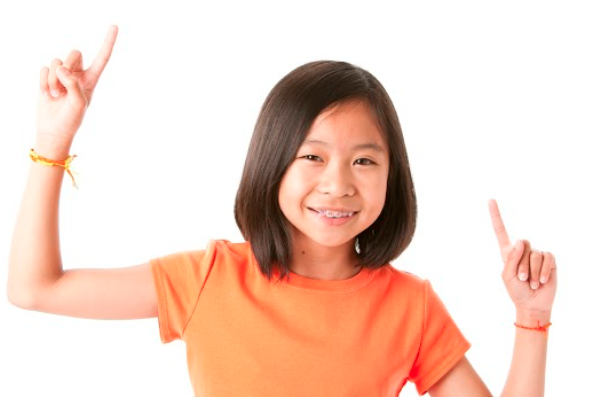 Yet a hectic schedule doesn’t mean that your child should neglect their braces. At Accorde Orthodontists, we've been proudly providing high-quality orthodontic treatment to patients in the Champlin, Maple Grove, and Rogers areas for over 50 years, and during that time, we've seen plenty of fads take the teen population by storm. Most of the time, these trends do nothing more than create some regrettable photos – but occasionally, we'll see a trend come along that's downright dangerous. That's the case with fake & DIY braces – so we're using this blog to spread awareness on this awful fad. The reason bad breath is more common with braces is that the hardware of braces makes it easier for tiny particles of food to get trapped underneath the brackets and wires. These foods are broken down by bacteria, and a by-product of that process is an unpleasant smell: halitosis, or bad breath. At Accorde Orthodontists, we're proud to have helped countless patients throughout the Rogers, Maple Grove, and Champlin areas achieve a beautiful new smile, and we offer a variety of treatment methods including braces and Invisalign to suit our patients' needs. But why bother getting a new smile in the first place? As it turns out, having straight teeth comes with a number of major advantages that help you in nearly every area of life – many more than you might realize! Tooth decay is one of the most common human diseases; it’s actually the second most prevalent disease, only behind the common cold! With its frequently occurring nature, it’s no surprise that tooth decay can be caused in a variety of different ways. Nutrition is fundamentally important to bodily health. Without a healthy diet, it’s nearly impossible to maintain a healthy body and lifestyle, and the food we consume has a major impact on our physical health, our emotional well being, and our life overall. However, in addition to bodily health, diet and nutrition are important for dental health. Certain dietary choices can promote dental decay and cavities, while others protect and strengthen the teeth. Here are 10 foods that will benefit your teeth and protect your mouth from cavities. The new year is just around the corner, and we know many of our patients are getting excited for the coming year and drafting lists of New Year's resolutions. But between all the resolutions to go to the gym more or clean up more consistently, why not add a few resolutions for your braces? Add these to your list to make 2017 your best year yet for orthodontic health. So you get up in the morning, look in the mirror and wish your smile was straighter? Do you cringe when you see a picture of yourself smiling with that overbite? If either of these sound like you, or if you are just looking for that beautiful smile you’ve always dreamed of, consider Invisalign treatment from Accorde Orthodontists. Both teens and adults have found that Invisalign clear aligners effectively treat a wide variety of cases, including crowding, spacing, crossbite, overbite and underbite. Need convincing? Here are the top five reasons you’ll love Invisalign. Accorde Orthodontists strives to offer the best when it comes to orthodontics and braces in Champlin, Maple Grove, and Rogers, MN. When many patients are told that they should undergo orthodontic treatment, they can be a little tentative. This is understandable; wearing braces is a completely new experience. At Accorde, our goal is to alleviate your fears through our dedication to patient care and information. The team at Accorde Orthodontists works hard to exceed our patients’ expectations by providing exceptional orthodontic care at our three convenient office locations in Champlin, Maple Grove and Rogers MN. We want all our patients to maintain good oral health as having a healthy smile offers a slew of benefits. The team at Accorde Orthodontists takes great pride in helping our patients achieve the smile they’ve always wanted. 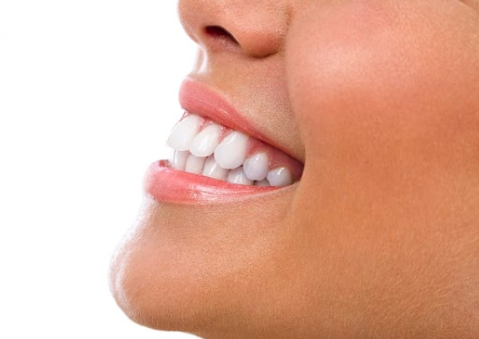 We work diligently to provide you with healthy, straight teeth, but the treatment process can only be successful with a joint effort on both of our parts. That’s why Dr. Hobday, Dr. Helmich and Dr. Mark have compiled this guide on how to care and maintain your braces. Together we can help you achieve a beautiful, stunning smile by ensuring quality orthodontic care combined with a daily home care routine. The doctors at Accorde Orthodontists are proud to provide exceptional orthodontic care to patients of all ages living in Champlin, Maple Grove and Rogers, MN as well as the surrounding areas. Our practice uses the most advanced technology, techniques and procedures to ensure that every patient we serve receives the most effective orthodontic treatment possible. Welcome to the blog of Accorde Orthodontists, your local orthodontic practice with three locations in Maple Grove, Champlin & Rogers, MN. We encourage you to check out our blog often as we plan to post fun and informative articles like braces-friendly recipes, oral hygiene tips, office happenings and more.